Today a small town in the old industrial heartland of Lancashire celebrated its football team, the “Clarets” achieving promotion to the Premier League. 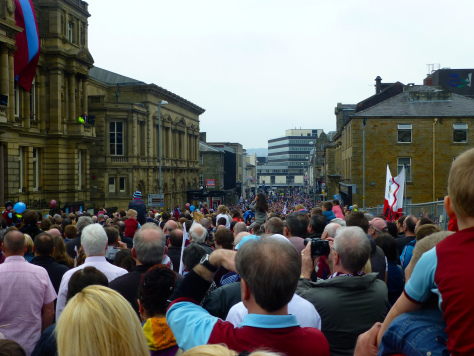 Burnley turned out in force to watch the civic reception and celebration parade. The bookies had Burnley one of the favourites to be relegated so it was really against all odds with the smallest squad in the division and having bought only one player and one loan signing all season. They also had the meanest defence in the division and a year-long record of being undefeated at Turf Moor. And die-hard fans will also savour the fact that Burnley beat arch-rivals Blackburn Rovers for the first time in 35 years (having been robbed last year by an off-side equaliser). So not only do Burnley have the bragging rights but ascendancy over Blackburn who failed to make the play-offs and a chance to return to the Premier League. 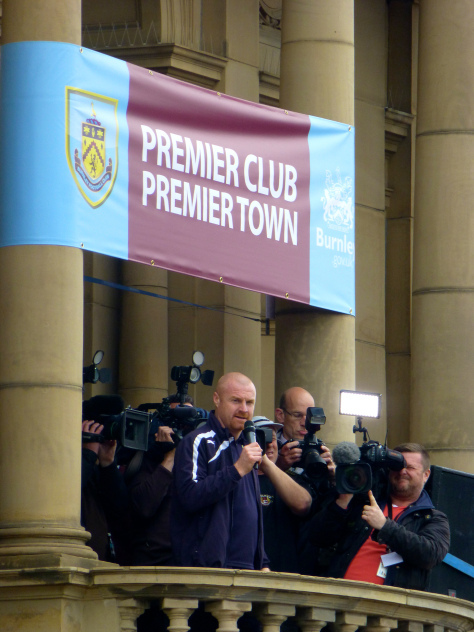 Categories: Recreation | Tags: Burnley, Burnley FC, Lancashire, Premier League | Permalink. 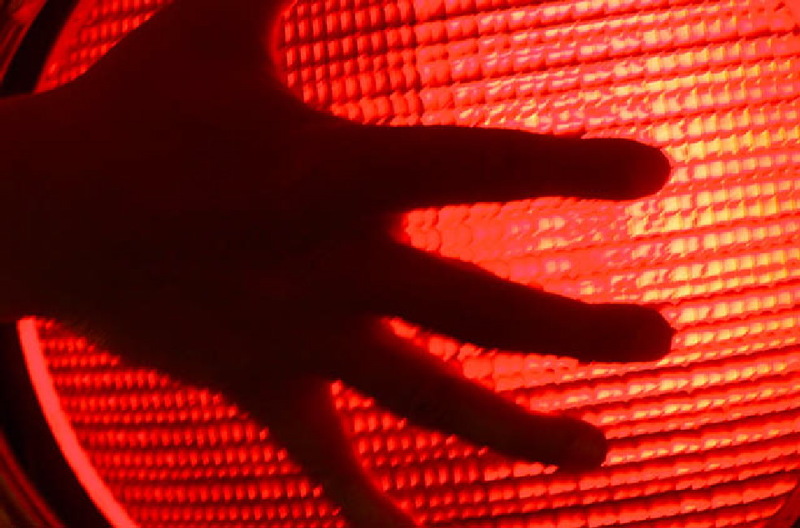 Football analytics; the way to go? If you are a football fan you will probably have heard of Prozone and Opta, two of the systems that analyse games for managers and tell you how far players have run, shots on target etc. Manchester City apparently employs 10 analysts to do this stuff and Chelsea has 32 million “player actions” based on over 13,000 games in its database according to a report by Rory Smith in The Times. The interesting statistic he emphasised in his piece was on when to make a substitution. Brett Myers, an ex-pro footballer from America, now an Assistant Professor at a business school in Pennsylvania, has come up with a theory. He says if your team is losing at half-time you must make your substitution before the 59th minute. If you are still losing make another before the 73rd minute and if that doesn’t change things your final one in the 79th minute. Following this 58-73-79 rule gives your team a 40-45% chance of success compared to only 18-22% if you don’t. In other words it doubles the odds from 1 in 5 to 2 in 5. Categories: Psychology, Work | Tags: 58-73-79 rule, football, football analytics, Opta, Premier League, Prozone | Permalink.